A known model of the MRZR all-terrain vehicle gets robotic capabilities. The vehicle that can fit inside an MV-22 Osprey helicopter and fly troops and gear around the battlefield has been used by US Marine infantry units since 2017. It has been in use by the Special Operations Command for even longer and is operated by more than 30 countries. 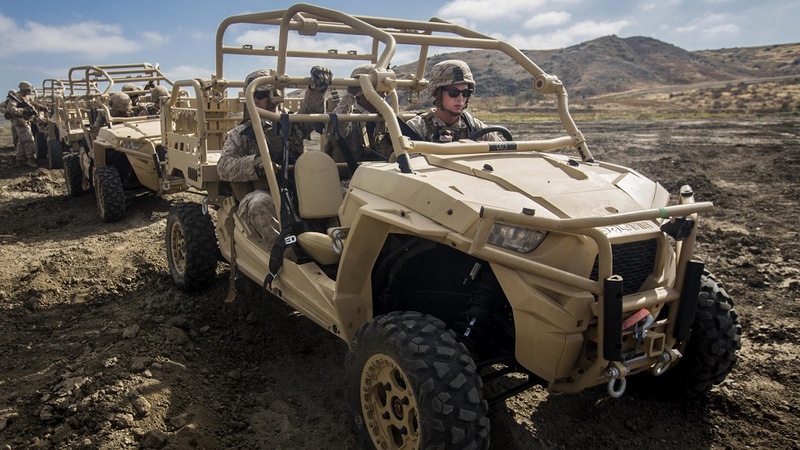 Recently, its manufacturer Polaris introduced a new and more sophisticated model: the MRZR X, a vehicle that can be operated by a driver; in leader-follower configuration in a convoy; by remote control; or fully autonomously, depending on what the mission requires. According to military.com, the vehicle was developed in collaboration with Applied Research Associates, which designed the modular robotic applique kit the MRZR X uses to operate in unmanned or leader-follower modes. Per US Army requirements, the MRZR X, like its predecessor, accepts JP-8 fuel. It can travel at least 60 miles in 72 hours and carry at least 1,000 pounds of gear. The company claims that the unmanned capabilities will enable the vehicle to assume a greater variety of roles, including robotic equipment vehicle; autonomous battlefield resupply and logistics support; rescue missions; high-speed casualty evacuation; and, while in manned mode, personnel carrier. The advanced MRZR X fully integrates the autonomy systems and optimally places the sensors to safeguard the technology while keeping the physical and software architecture open so it can spiral in future technology, Polaris stated in an announcement. The vehicle drivetrain is powerful and reliable, allowing for longer missions, high speeds and silent drive when needed — all on the very familiar, sustainable and intuitive MRZR platform. According to popularmechanics.com, the addition of the vehicle to the infantry opens up a range of new possibilities. Soldiers facing tanks can load up on extra anti-tank weapons, including AT4 rockets, anti-tank mines, and Javelin missiles. They can carry more logs, sandbags, and other equipment to protect themselves against artillery fire. And if a soldier is wounded, the vehicle can theoretically carry the injured trooper to a field hospital all by itself, allowing the rest of the squad to continue on its mission. The vehicle may even be equipped with machine guns or anti-tank rockets, providing a mobile fire support system for ground troops — kind of like a mini-tank.